Happy Heartfelt Wednesday everyone! 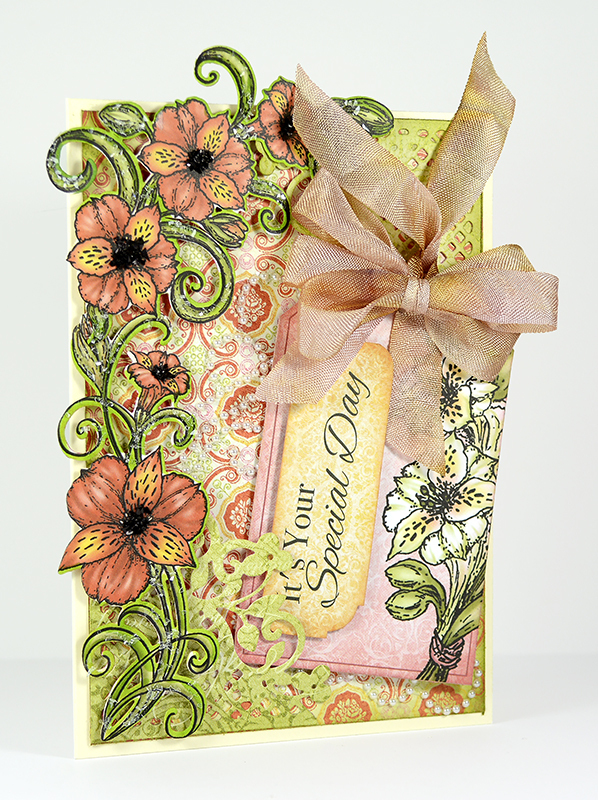 I hope by now you are having fun creating with the Sunrise Lily Collection from Heartfelt Creations! 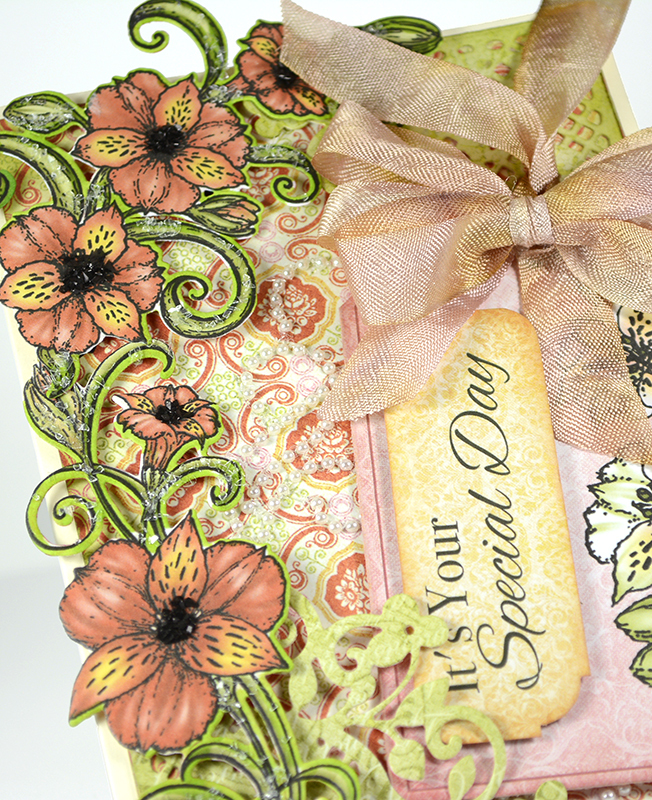 What I have enjoyed using in this collection are the preprinted floral sprays that can be cut with coordinating dies! No time to stamp and color? No problem! There is an entire page of preprinted floral sprays in the Sunrise Lily Paper Collection. 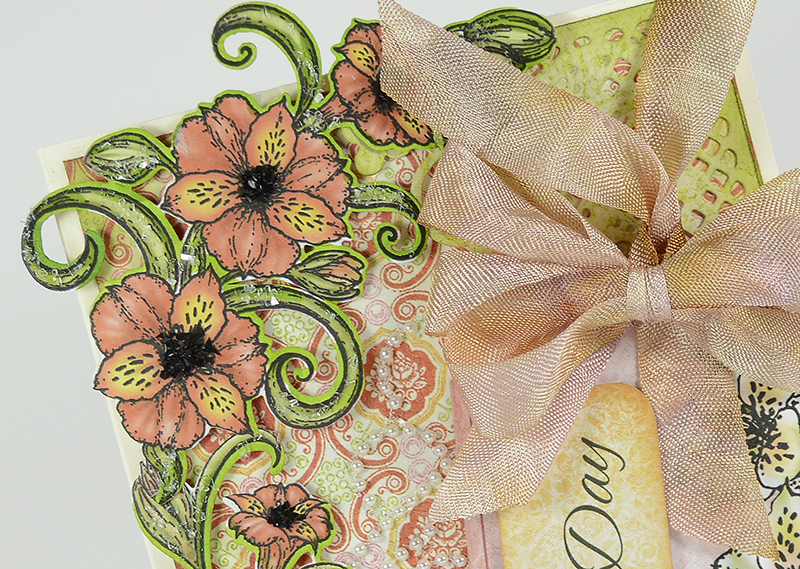 Just create your card front, add the lilies, a few embellishments and your card is finished! I added black glass glitter to the centers of the lilies along with diamond dust on the leaves. For more inspiration please check out the HC Blog! Complete instructions for this card and all the design teams projects are available!